Nobody makes pancakes and waffles as well as the Americans, and when it comes to pancake and waffle mix, Aunt Jemima is a name trusted by millions of moms and dads up and down the country. Often eaten at breakfast time, pancakes and waffles made with Aunt Jemima Original Pancake & Waffle Mix are a nutritious, hot breakfast item that can power you through the morning until lunchtime. Packed full of calcium and iron, pancakes and waffles made from Aunt Jemima Original Pancake & Waffle Mix are a great way to start the day. 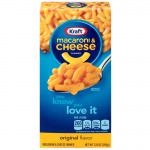 This large, 2 lb/907 g box, is enough to make breakfast for several weeks, ensuring your family get a hot, nutritious breakfast that is also light, fluffy and incredibly tasty. 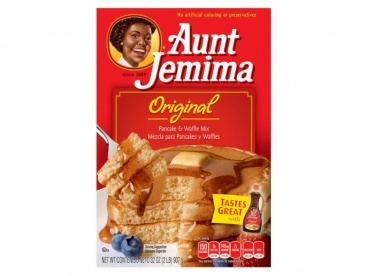 Best of all, Aunt Jemima Original Pancake & Waffle Mix is incredibly easy to make and cook. Furthermore, unlike traditional British pancakes, which are flat and thin, pancakes and waffles made from Aunt Jemima Original Pancake & Waffle Mix rise to become fluffy and light. Perfect with Aunt Jemima Pancake syrup, a little lemon juice, or eaten plain, waffles and pancakes made from Aunt Jemima Original Pancake & Waffle Mix are great for breakfast or for after dinner. With no preservatives, no artificial colourings and high in calcium and iron, these pancakes and waffles are good, wholesome, traditional American fare. Try them once and you won’t want to go back to any other type of pancake or waffle again. For a real treat, why not try them with a little ice cream. Delicious! Enriched Bleached Flour (Bleached Wheat Flour, Niacin, Reduced Iron, Thiamin Mononitrate, Riboflavin, Folic Acid), Sugar, Leavening (Sodium Bicarbonate, Sodium Aluminum Phosphate, Monocalcium Phosphate), Dextrose, Nonfat Dry Milk, Partially Hydrogenated Soybean Oil, Salt, Wheat Gluten, Calcium Carbonate, Corn Syrup Solids, Sodium Caseinate, Mono and Diglycerides, Lactic Acid. Contains Wheat and Milk Ingredients May Contain Traces of Egg. This is great when you can't be bothered getting all of the ingredients this is all ready to go. Great taste as well. A quick delivery. Will definitely use again. 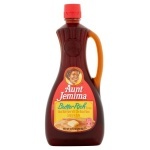 I have always used aunt jemmima pancake mix. Its excellent. This is the 2nd time of ordering this item. So easy to use for perfect pancakes and waffles.